It’s the details that make a kitchen unique. 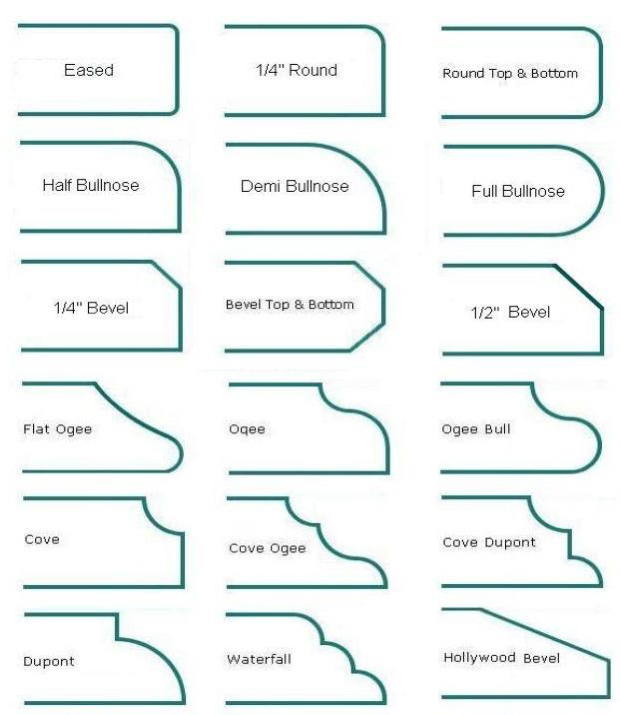 Selecting an edge profile for your countertops from one of these choices will establish the character of your space. We offer many edge profile choices to suit any design preferences. Check out our available stone countertop edge profiles here. Our customers love working with us!Much of our success comes from our satisfied customers who return to us for all their stone work projects. Check out our Reviews page to see why Stonehenge Marble & Granite customers love us! Call us today for a free estimate!Our showroom is always open during business hours. Stop by to view our beautiful selection of stone. To visit our showroom after business hours, call Yan at 778-883-5763 to set up an appointment.